This Mini Digital Aquarium Thermometer comes with modern appearance and compact design, easy-to-read clear LCD Screen delivers accurate temperature readings for your Fish Tank. It is important for you to own it to keep your pet fish healthy, happy and active. 1. 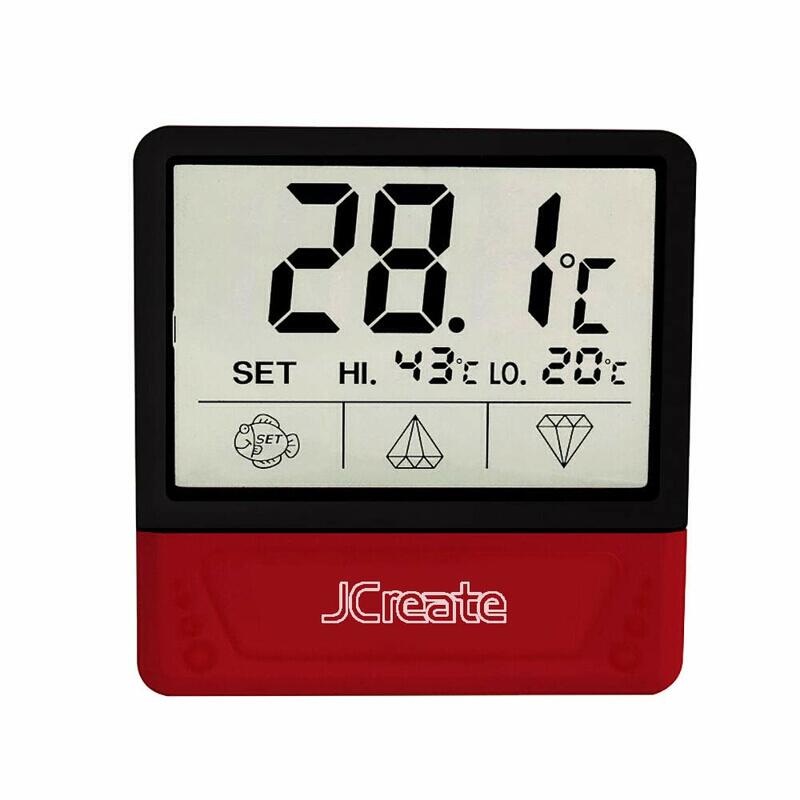 We already inserted battery in the red battery cover below the LCD Screen ,the LCD will now display the current temperature. 2. Tear off the paper, stick this device on to a transparent tinted background. 3. It is well installed. 4. If you want to switch °C / °F, click "up" or "down" on the screen. 5. There is a flash function, The big number will flash if the water temperature is higher than the highest temperature or lower than the lowest temperature you set. press the "set" key, the small number will flash, short press "up" or "down" to set the highest temperature you want it to flash, then press "set", the other small number will flash, short press "up" or "down" key to set the lowest temperature you want it to flash. Done. The big number will flash if the water temperature is higher than the highest temperature or lower than the lowest temperature you set. Note: If you replace the battery, this thermometer will be back to °C and default low temperature flash point is 20 °C, default high temperature flash point is 30 °C, If you do not want it to flash, pls set a high enough temperature and a low enough temperature.